This is a more complicated gcode example, but it demonstrates that even a sophisticated part can be built with rt-stepper. Who said you need a indexing attachment and geartooth cutter to cut gears. With a handful of CNC program codes you can cut a pinion gear with a single setup and no tool changes. 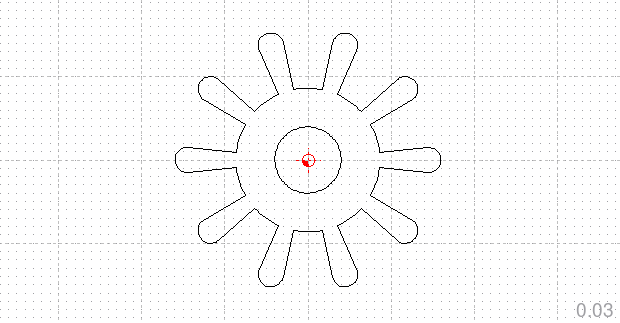 I use this pinion.nc gcode file to cut pinion gears for another project.